Presented in partnership with Shoals Marine Laboratory. Viewing the surface of the sea almost always leads to questions of what lies and lives below. Since the advent of scuba nearly 60 years ago, scientists and non-scientists alike have been able to study and experience first-hand this magnificent aquatic world, but a nearly universal comment by both groups upon surfacing after a dive is “I wish I had more time!” Saturation diving is a technique that allows scientists (aquanauts) to spend days or weeks underwater without surfacing. Dr. James Coyer from the Shoals Marine Laboratory has been an aquanaut in four saturation missions that collectively total 27 days. 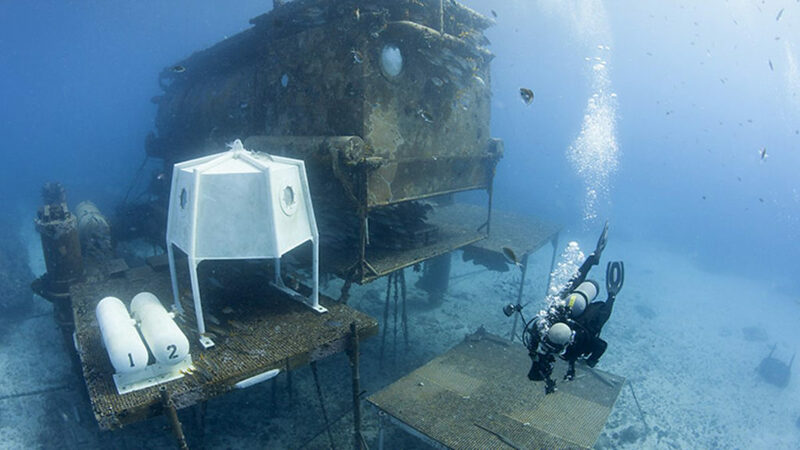 He will describe the technique, why it is so valuable to subtidal research, and what it is like to live underwater at Hydrolab in St Croix (VI) and Aquarius in Key Largo (FL).